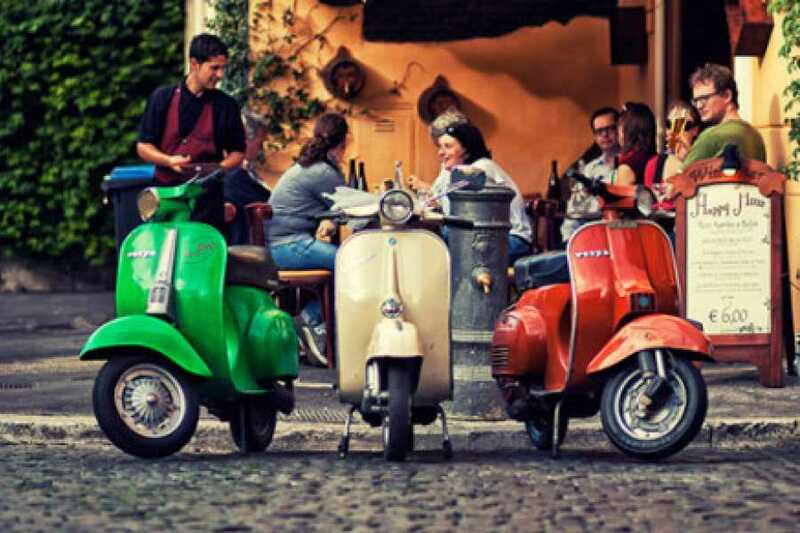 Drive along scenic and silent country roads through the hillside of Tuscany on a Vespa admiring the sights, smells and sounds of the Chianti region! Our comfortable minivan will take you to the countryside, and will be available in case of any need during all the tour. With a short ride, you will be taken just outside of the busy and bustling city center. 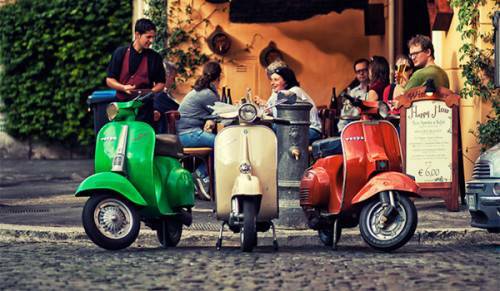 First you will receive an orientation conducted by an English speaking trained professional, ensuring the safe operation of the Vespas before we head out for our engaging and enjoyable ride. The ride, along scenic country roads will offer splendid views of the rolling hillside, vineyards and olive groves, little ancient churches and medieval towers. Several stops for photo opportunities will be made along the way. You will visit a winery and enjoy a guided tour of their ancient cellars, where you will learn all the secrets of wine and olive oil production. A typical Tuscan lunch (or dinner, depending on which departure you choose) will be served with a wine tasting.